Which of the following is the most important money-related lesson to teach children? Any parent will understand the difficulty involved in teaching their children the importance of saving. Often it’s the case that no sooner have the kids been given their pocket money for the month have they spent it all on sweets and fizzy drinks at the local shop – at which point they’re forced to return to the Bank of Mum and Dad for a loan! With this in mind, our October poll asked people what they think is the most crucial lesson to teach children about preserving their precious pennies. 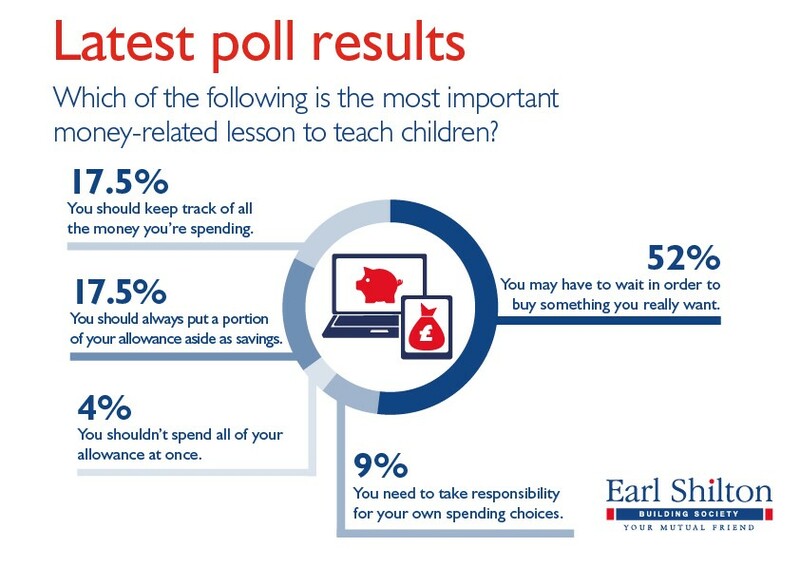 52% of those who answered our poll agreed that encouraging kids to save up their cash to buy something they really want is the most important lesson to be learned. While 9% felt that children need to take responsibility for their own spending choices, a further 4% said they shouldn’t spend all their allowance in one fell swoop. Among the remaining 35% of respondents, opinion was split right down middle. Although some thought that children should keep a record of all their spending, others decided that they should always make sure that a portion of their allowance is put aside in savings.